Share " Dog Tricks: Four Steps For Teaching Your Dog To Shake "
For your training to be most effective, you and your dog should not have any distractions. With some treats hidden away, get the dog to sit in front of you. 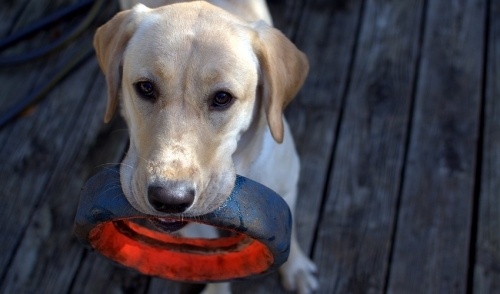 With your dog sitting, say your “shake” command while holding out your right hand within reach of your dog. If they lift their paw into your hand, give them a treat. If not, tap the top of their paw and put your hand back out. When they get it and lift their paw, give a treat. Until your dog understands the meaning of “shake,” keep repeating this process. Sometimes it takes some dogs a little longer than others but they can eventually be trained to do this trick.